I’ve been using the new 11-inch iPad Pro for around a month now – I bought this one myself for £769. That’s a lot of money, and once you add on a smart cover, maybe an apple pencil, or go for more storage with LTE – it’ll easily set you back over a grand. So what’s new, is it a big upgrade over the 2 year old iPad Pro I was using, and should anyone actually buy this? So after a month of use, I do think the iPad Pro 2018 is the best tablet you can buy. Even if some android competitors have better file management systems or AMOLED HDR screens. 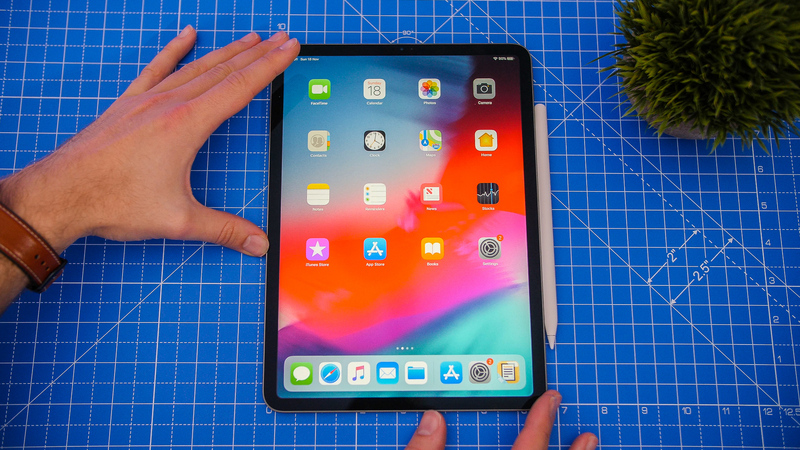 But the great battery life, awesome speakers and most importantly the the quality of apps on the Apple app store makes the iPad by far the best tablet in my opinion. It is very expensive though, and I think the vast majority of people would be best served with the basic iPad which costs about half the price and is still very good. With that said, If you do want the best experience and niceties like USB C, thinner bezel, 120hz refresh rate the 2nd Gen Apple Pencil – then go for the Pro. Was it worth upgrading from my 2 year old Pro? No, probably not. However, it all depends on what you want to use it for, and overall I am very happy with it. At the end of the day no one really needs an iPad – at least not until they put MacOS on it – but i do love using it and if you want the best tablet, this is it. Are you tempted by the Pro and do you think it’s a decent upgrade? Let me know in the comments below. Tap that like and subscribe button if you enjoyed the video and i’ll see you next time right here on the tech chap. Follow me @TheTechChap for the latest tech news and reviews! ← Samsung’s EPIC Gaming Monitors @ Gamescom 2018! iPhone 7 Review – Should You Upgrade?